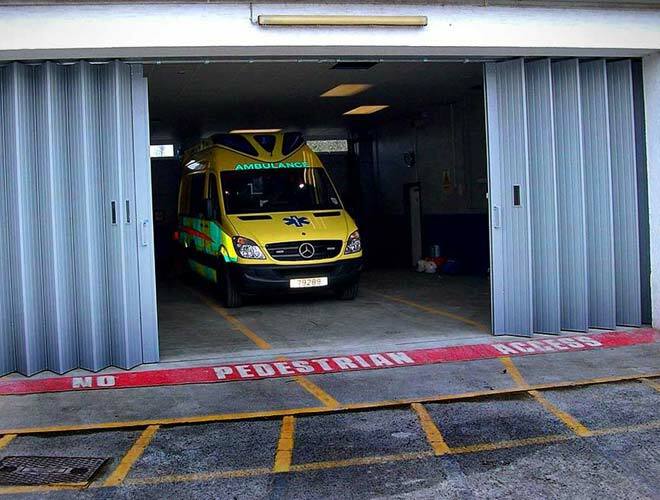 Horizontal folding industrial doors designed for use in areas with a restricted head height that require a good level of security. 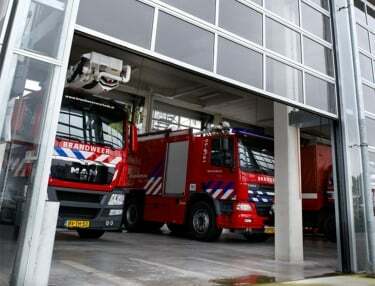 Tailored to incorporate a range of options, including toughened glass viewing panels. Manual or electric operation. Recommended maximum width up to 14,000mm. 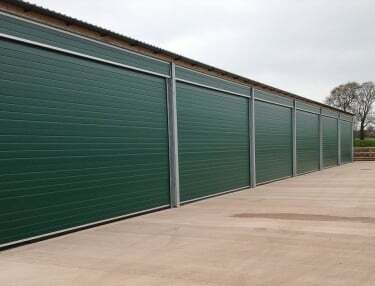 C Door is a horizontal sliding folding industrial door. 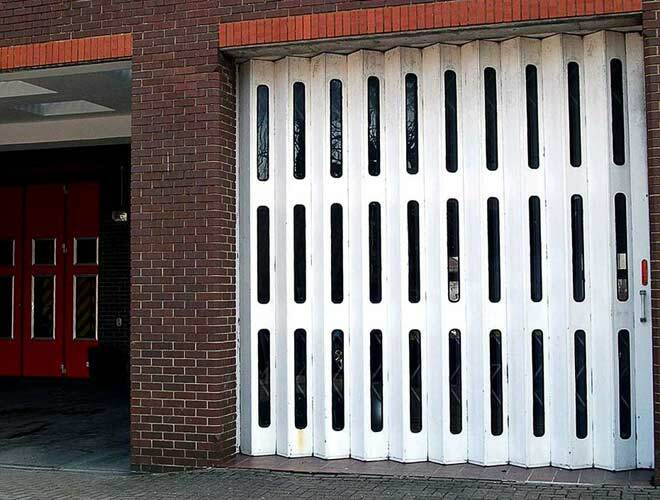 The C Door panel is deigned on the “lazy tong” principle where vertical pickets interconnect with steel bars producing a collapsible gate system. The assembly arrangement is made from galvanized steel hinged leaves, 305mm wide hung from the front of each picket. A heavy duty lintel mounted steel running track, suspends the door with its double rollers installed to alternate pickets with the floor track holding the guide spigots at the base of each picket. 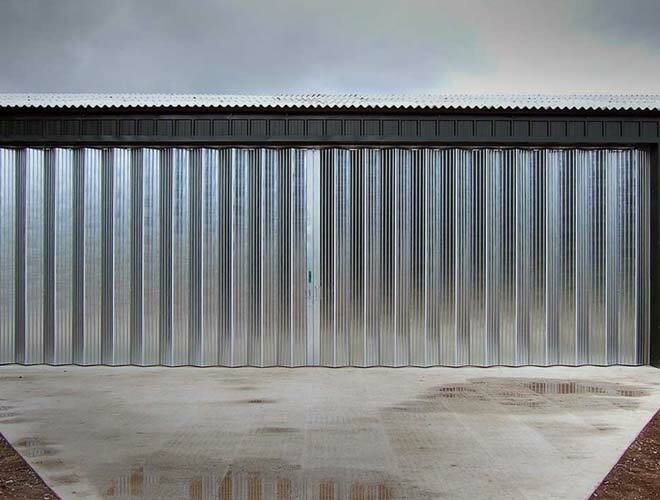 The C door is manufactured from galvanized steel cold rolled sections. 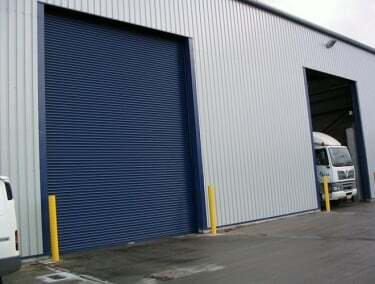 For site requirements the C Door can be arranged either one side or both sides of the opening. All unfixed edges are fitted with a rebated lead post with an operating handle. 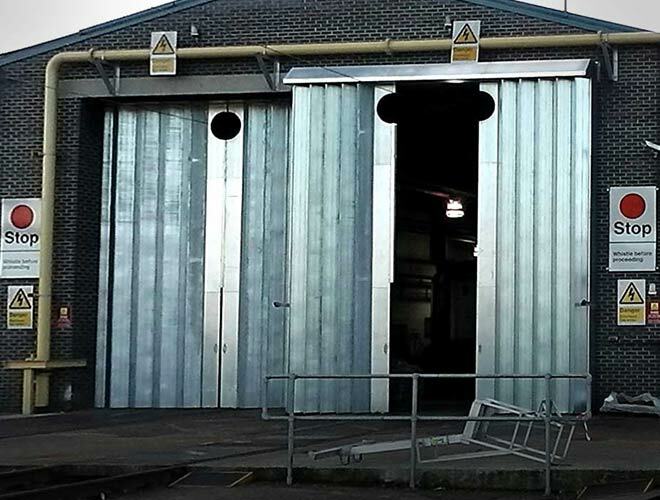 These industrial doors are available as a Manual, Single phase electric or Three phase electric. 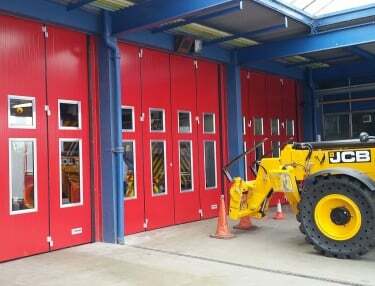 Electrically operated C Doors have a gearing system that allows torque limiting device to prevent door damage through a continuous chain driven system. Locking can be made from either side of the C door with a Hasp and staple padlock as standard. 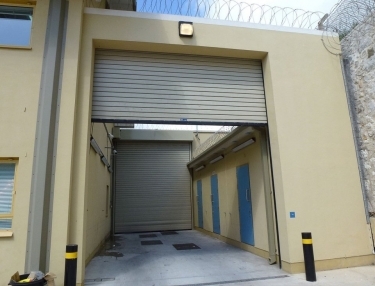 In the event of an electrically operated door meeting an obstruction when operating, the torque limit operates the micro switch to switch off the mains supply to the motor.